Pittsburgh-based U.S. Steel saw its market value reduced by 27% from investors following a surprising first quarter loss. According to a recent report from the Pittsburgh Post-Gazette, U.S. Steel also announced plans to spend more than $1 billion in upgrades to plants in Mon Valley and beyond. 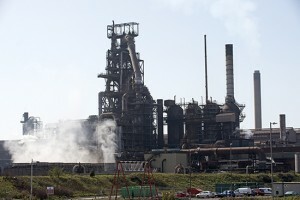 Analysts are encouraged by the investment, but they are also concerned the time frame for the project will prevent U.S. Steel from taking advantage of the surging demand in steel that many are expecting on the heels of President Donald Trump’s promises to support the steel industry. Chinese Demand for Steel Growing? Our own Raul de Frutos recently wrote about the current industrial metals bull market and whether or not he still sees an upside. Pertaining to steel specifically, de Frutos wrote that China’s government recently announced plans to build a new urban metropolis from the ground up, which would significantly boost the demand for steel and other metals.